Hey moms -- print this off NOW before it's gone! Love me some Huggies and this coupon is HOT! A. My poor monkey is sick. B. It's a good thing because he would have nothing to do with his costume. Check out this week's best deals and match-ups at Target! --Nivea lip care - $2..00. Use $3/2 (RP 10.21). Final Price: $0.50 each when you buy 2. --Up & Up Ibuprofen - $0.99. Use $1/2 Target coupon (target.com). Final Price: $0.49 each when you buy 2. Some good freebies this week! The Glade holiday scents are so yummy so stock up on them this week! Start planning ahead by creating a special softcover book for loved ones for just $1 from York Photo! Moms - these are PERFECT for the grandparents or even an extra special surprise for dad. Plus, shipping starts at just $1.99 AND you get 40 free prints -- BONUS!! I can't wait to make my son's 2nd birthday book! Hurry -- offer ends November 1st! Start your softcover book today! Got a furry friend at home? Get a 6 oz sample of New Purina Cat Chow Healthy Weight and a $1 coupon. Say yes and take the first step toward a long, healthy life together! Need to grab dinner before Trick or Treating? Let Chipotle help you out! Head on over to your local Chipotle anytime from 4pm - close in your costume to score a burrito, bowl, salad or an order of tacos for just $2! 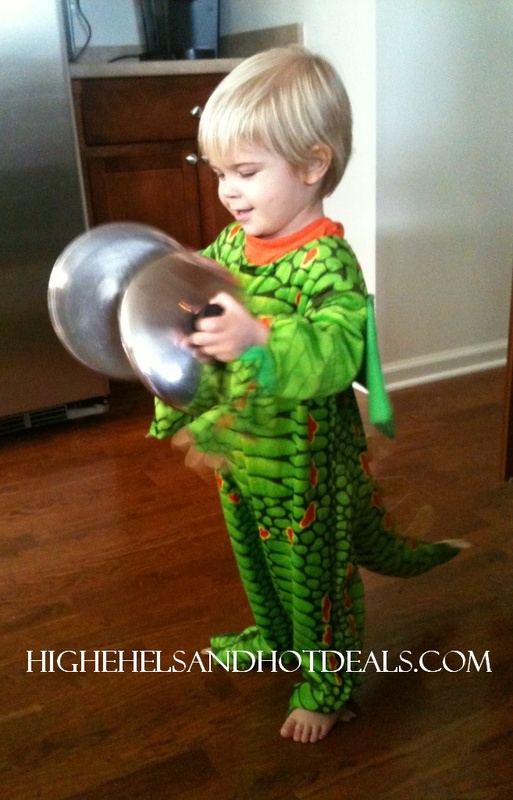 Thanks to this cute little dragon, mama's getting herself a burrito for dinner! --Pampers wipes - 2/$5. Use $0.50 off (Nov PG). Final Price: $2 each when you buy 2. Scroll down to find your store and what items you can stock up on this week for $1 or less! The following items are included in their 11 for $10 promotion. The ad says to buy as many or as few as you like, so I am assuming that this means that you can buy only 1 item and it will still cost $.91. --Campbell's Chunky Soup - 3/$4. Use $0.50/3 (coupons.com or Betty Crocker insert) which doubles to $1. Final Price: $1 each when you buy 3. --Kleenex facial tissue - $0.99. Use $0.30/3 (SS - expires 10/28) which doubles to $0.60 plus $1/3 mPerk. Final Price: $0.46 each when you buy 3. --Ortega taco products - 20% off. Use $0.50/2 (SS) which doubles to $1. Final Price: varies -- this is when I usually stock up on taco seasoning packets for free! --Dawn - $0.99. Use $0.50 off (Nov PG). Final Price: $0.49. --Advil PM (4 ct) - $1. Use $1 off (RP 10/28). Final Price: FREE -- stock up price! As the mother of a wild and crazy two year old, I am constantly on the lookout for games and toys that will keep my son busy. And by busy I mean playing with something for at least 3 minutes. Coco is all boy so anything with trucks or building is right up his alley. I recently came across this super cute website, BeginAgain. They offer a variety toys for all ages based on the ideas of Benjamin Barlowe. Barlowe believed that children engage in five distinct levels of play and toys should be created to promote imaginations and creative play. BeginAgain toys are made from natural materials and don't contain electronics or require batteries. They're the good old fashioned fun toys that we all grew up with before the video game trend! A - is for the artist. Creative artistic play develops imagination and gives a sense of the world we live in. This is where you can find creative arts, music toys, and more. W - is for the writer. Children are natural storytellers and these toys help develop communication and confidence. Here you can find role play and character playsets. I - is for the inventor. The Inventor loves to learn, explore, and build. Find learning games, exploration kits, construction, and science fun here. S - is for the sportster. Exercise for the body is important of all kids. Here you can find outdoor toys, sporting games, ride-ons, and more. H - is for the hero. Kids love to save the day. This category is all about heros, adventures, action figures, and wheels fun. B - is for the beginner. The toys for beginners help with fine motor skills like grabbing, stacking, and pushing for our next generation of inventors! As I was browsing this site, I came across these adorable Buddy Blocks. 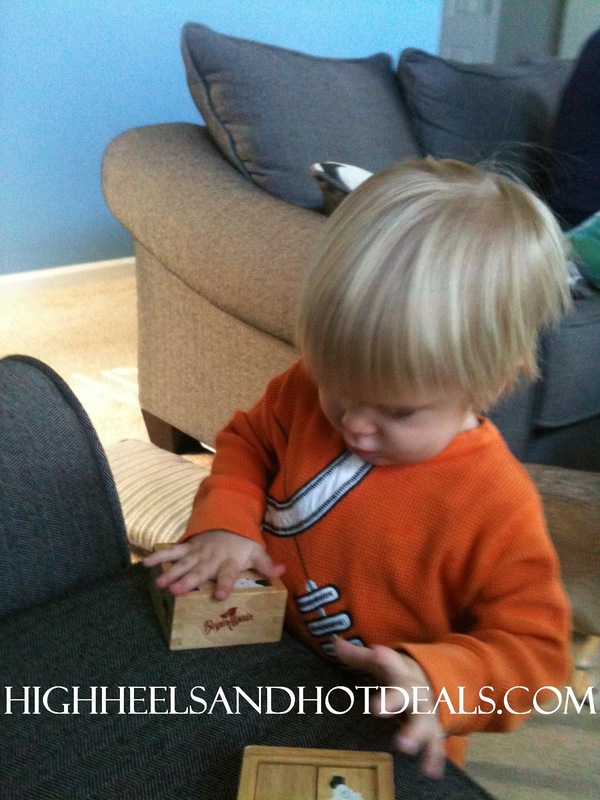 These wooden blocks are the perfect size for tiny toddler hands yet not small enough for the mouths. Your toddler can place them in the little box to create different animals. 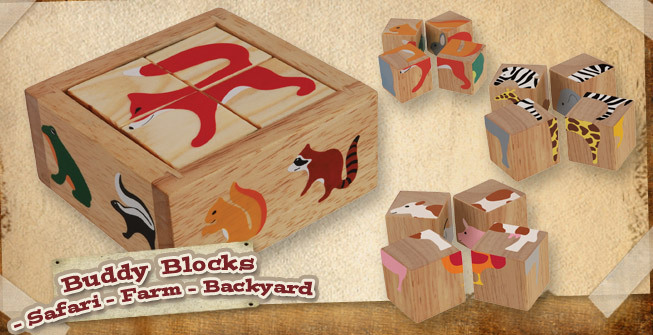 Plus there are only 4 blocks so you don't have to worry about keeping track of a million pieces! My son is really into animals right now and had a blast with these blocks. I'm not exaggerating when I say that his attention was held for a good 20 minutes with the Buddy Blocks. For an active 2 year old boy - that's amazing! Right now he's always asking me to make silly animals with his blocks, like the zebra head and giraffe body. He even loves placing the blocks into the little box over and over again. It's engaging yet encourages practice of young motor skills as well as critical thinking skills. BeginAgain offers more than just Buddy Blocks! Visit their site to check out their variety of toys that encourage a child's imagination as well as promote storytelling and creative play. Toys should be about the craft of playing and nurturing a child's development - and that's what BeginAgain will offer for your little one. Check out your local Whole Foods store to purchase your BeginAgain toys or visit BeginAgain's website to check out their line of toys for your little ones.. You can also find BeginAgain on Facebook. One (1) lucky reader will win your own set of Buddy Blocks. This giveaway is run via Rafflecopter. The more entries completed, the better your chances of winning! Open to US residents only. This product review was made possible by BeginAgain. I was not compensated for this review other than a product sample. All opinions are 100% mine. I'm so sad about the lack of Register Rewards AGAIN this week! Sadly I think the Balance Rewards program is probably going to start taking the RR place. Here are this week's best steals and deals at Wags! --Chex Mix - Buy 1 Get 1 Free. Use $0.50/2 (GM insert). Final Price: $1.35 each when you buy 2. Any other deals I'll be sure to post. I'll try to figure out some scenarios if I can! I can officially say that my house is clean and I'm on my second load of laundry! Now I'm watching my son on the monitor climb in and out of his bed when he's supposed to be napping -- 30 minutes ago. So I'm going to try and hammer out these deals this week as I make trips up and down to his room. Please note that this week is a 4 days sale. Apparently there will be a new ad out on Thursday with more deals. --Snickers, Reece's or Kit Kat fun size bags - 2/$5 and earn $1 EC on 2. Use $1.50/3 (SS). Final Price: $1.33 when you buy 3 after ECB. --Dum Dum, Tootsie Poops or Midgees bags - 2/$4 and earn $1 on 2. Final Price: $1.50 each when you buy 2 after ECB. --Always or Tampax Radiant or Pearl - $7.49 and earn $2 ECB. Use $1 off (Nov PG). Final Price: $4.49 after ECB. --Listerine rinse - $3.99 and earn $2 ECB. Use $0.50 off (SS 10/28). Final Price: $1.49 after ECB. --Herbal Essences or Aussie shampoo or conditioner - $2.99. Use Buy 1 Get 1 Free (SS - expires 10/31). Final Price: as low as $1.49 each when you buy 2. I'll try to whip up some scenarios tonight. This week isn't hot on ECB but it is a good week to stock up on candy for those Trick or Treaters! --Campbell's Skillett Sauces - $1.99. Use $1 off (SS 10/14) and $1/2 Target coupon (target.com). Final Price: $0.49 each when you buy 2. --Chapstick - $1.09. Use $1/2 (SS 10/7). Final Price: $0.59 each when you buy 2. --Barilla Fiber or Grain pasta - $1.17 Use $1/2 (SS 10/21). Final Price: $0.67 each when you buy 2. I'll post more if I find them! Sorry for the late match-ups friends. It was a go-go-go day yesterday. And I couldn't keep my eyes open last night. But I promise to still give you this week's best deals and match-ups at Meijer! --Tombstone Pizza - 4/$10. Use $1/3 (SS 10/14). Final Price: $2.17 each when you buy 3. --General Mills Cereals - 3/$10 and get $2 off instantly when you buy 3. Use $0.50/Honey Nut Cheerios (coupons.com) which doubles to $1 or $0.50/Cocoa Puffs (coupons.com) which doubles to $1. Final Price: as low as $1.67 each when you buy 3. --Meijer stuffed chicken breasts - $4.99. Use $2/2 mPerk. Final Price: $3.99 each when you buy 2. That's all folks. Hopefully the next two weeks will be some good Thanksgiving goody stock up! I was super excited to open up my newspaper this morning and see Krogers new promotion. . . 11 for $10! Meijer has this similar deal on occasion. 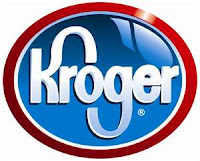 It's nice to see Kroger doing it too because it's only a hop, skip and a jump away! This week's WINNING WEDNESDAY post is another CVS success story. I used to have several of these deals weekly when CVS was on every corner around our old house. However, now it is at least an 8 minute drive (okay, I seriously timed it) so the trips are less frequent. Almay eye shadow - $5.99 and earn $3.00 ECB. Used $1/Almay cosmetic item (SS) and $4 ECB from previous shopping trips. Total: $1.13 (with tax) and $3 ECB earned. Total: $3.49 with $3 ECB earned. Pantene shampoo and conditioner - 2/$8. Used Buy Shampoo and Get Conditioner free. This took off $6.99 so I ended up not being able to use my ECB or I would've lost money on it. Grand Total for all my purchases: $6.19 with $3 ECB remaining. Therefore I paid around $3 for all of these goodies. Let's say it together now...WINNING! Don't forget to send us our WINNING deals so we can feature them in our weekly post! Time to start thinking about those holiday cards folks! If you've never used Ink Garden now's the time! New customers can get 10 free Holiday cards but 40% off your entire purchase! Perfect time to purchase those cards - so head on over to Ink Garden to order now! EVERY TUESDAY is $1.99 Happy Meal day! Yes you heard me correctly! Tuesdays at McDonald's are $1.99 Happy Meals! Treat your fam and give yourself break on Tuesday! You deserve it. And we're BACK with a Mommy Monday post! I had to share these yummy wings my husband -- yes I said HUSBAND-- made this weekend. Thanks to DirectTV and the Sunday Ticket, our living room TV is consumed with multiple football games and hours of lounging and snacks. So what's a football game without wings? --Bottle of Honey BBQ sauce -- Sweet Baby Rays if our preferred sauce! 1. 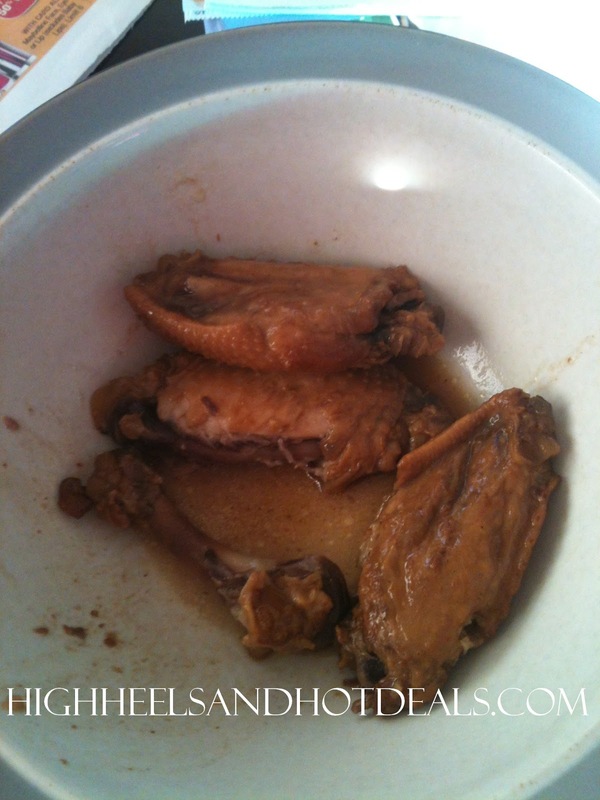 Mix all the ingredients (but not the wings) into the crock pot. 2. Throw in the wings and coat them with the sauce. I promise they are SO good! I'm not a huge wing fan but these babies were amazeballs. The meat literally fell right of the bone as you ate them! My husband did turn the wings over halfway through to coat and cook them even more. Now that I've got him cooking, think I can get him to fold the laundry? I promise...one day I'll have a super cute button for this post. --Gerber 2 pk 1st or 2nd foods - 10/$9.50. --Luvs Super Pack - $16.99. Use $1 off (Oct PG). Final Price: $15.99. --Select Gerber 2 pks baby food - 10/$9.00. Now I need to go...my son just locked me in the basement. Time to save yourself a buck and stock up on those much needed deals that cost $1 or less! Scroll to find your store below! --Hunt's Tomatoes-- $1.00. Use $0.40/3 (SS) which doubles to $0.80. Final Price: $0.73 each when you buy 3. The following items are included in their Buy 5 Save $5 promotion. The $5 coupon will be printed at checkout for use at a future shopping trip. --Betty Crocker Boxed Potatoes-- $1.00. Use the $.50/2 from RP or coupons.com, whcih doubles to $1.00. Final price: $.50 each when you buy 2 <----stock it up! --Ritz crackers, bits or toasted chips - $1.50. Use $1/2 toasted chips (smartsource.com). Final Price: $1 each when you buy 2 -- HOT deal! --Buy 3 American Greeting Cards and get $3 ECB. Buy 3 $0.99 cards and earn $3 ECB. Final Price: FREE after ECB. --Stride iD or Spark gum - 3/$3 and earn $1 ECB on 3. Final Price: $0.67 each when you buy 3 after ECB. --Di-Gel liquid - $5.99 and earn $3 ECB. Use $2 off (SS 10/21). Final Price: FREE after ECB -- HOT deal!! --Carmex - $0.99. Use $1 off (SS 10/21). Final Price: FREE -- stock up! --Nivea lip care - 2/$5. Use $3/2 (RP 10/21). Final Price: $1 each when you buy 2. --Colgate toothpaste or toothbrush - $2.49 and earn $1.50 RR. Final Price: $0.99 after RR. --Gum toothbrush - $1.99 and earn $1 RR. Final Price: $0.99 after RR -- HOT deal! I hope everyone is enjoying this beautiful Sunday! I'm dragging my husband on a run when the baby wakes up. My poor dog needs some exercise too so we will be taking full advantage of this weather! Here are a few scenarios you can try out this week as you head to CVS! --Buy 3 American Greeting Cards and get $3 ECB. Buy 3 $0.99 cards and earn $3 ECB. Final Price: $2.97 with $3 ECB earned. Total for Transaction #1 is $2.97 with $3 ECB remaining. --Di-Gel liquid - $5.99 and earn $3 ECB. Use $2 off (SS 10/21). Final Price: $3.99 with $3 ECB earned. Total for Transaction #2 is $3.99 BUT use your $3 ECB from Transaction #1 and you'll pay $0.99 and have $3 ECB remaining. --Speed Stick or Lady Speed Stick - $2.99 and earn $1 ECB. Use $1 off (SS 10/21). Final Price: $1.99 with $1 ECB earned. --Colgate Plus toothbrush - 2/$3.98. Use $1/2 CVS coupon (scan at the machine in store). Final Price:$1.49 each when you buy 2. Total for Transaction #3 is $4.97 BUT use your $3 ECB from Transaction #2. You'll pay $1.97 and have $1 ECB leftover. Total for all three transactions is $5.93 (before tax). You will have $1 ECB remaining, so it is like you are paying around $5 for all of your transactions! You could probably add a few more things in there, so be sure to check the CVS Match-Ups post if you want to add a few more goodies to your shopping trip! It seems as if Walgreens is replacing their Register Rewards with their Balance Rewards. So I'll post some of the best deals, but I'm not sure if I'll be able to do any scenarios this week...again. BUT here are this week's best match-ups! --Softsoap body wash - 2/$6. Use $2/2 in store coupon. Final Price: $2 each when you buy 2. --Pantene - $5.99. Use Buy Shampoo get Conditioner free (SS). Final Price: $2.99 each when you buy 2. --Garnier Fructis - 2/$5. Use $1 off (coupons.com). Final Price: $1.50 each when you buy 2. And that's all folks. If anyone knows of more RR deals - send them our way! I hope you all took advantage of some of the great ECB deals last week! I have some a great Winning Wednesday post I'll share with you this week about my CVS shopping trip. This week doesn't look too bad either! There are a lot of Halloween deals this week. Check out the best deals and match-ups below! --M&Ms - 2/$6 and earn $1 ECB. Final Price: $2.50 each after ECB. --Nestle or Mars Fun Size bags - 2/$5. Use $1.50/3 (SS). Final Price: $1.67 each when you buy 3. --Kellogg's Raisin Bran, Froot Loops or Apple Jacks - 2/$5. Use $1/2 (coupons.com). Final Price: $2 each when you buy 2. --Post Honey Bunches of Oats, Great Grains or Raisin Medley - 3/$9 and earn $3 ECB on 3. Use $1/2 Honey Bunches of Oats (SS). Final Price: $1.67each when you buy 3 after ECB. --Quilted Northern bathroom tissue (12 pk) - $6.99 and earn $1 ECB. Final Price: $5.99 after ECB. --Biore, Curel or Jergens - 2/$15 and earn $3 ECB. Use $1/Jergens or $1/Curel (SS). Final Price: $5 each after ECB. --Carmex healing cream, lotion or ointment - $3.99. Use $1 off (SS 10/21). Final Price: $2.99. --Fructis shampoo or conditioner - 2/$5. Use two $1 off (coupons.com). Final Price: $1.50 each when you buy 2. --Speed Stick or Lady Speed Stick - $2.99 and earn $1 ECB. Use $1 off (SS 10/21). Final Price: $0.99 after ECB -- HOT deal! --CoverGirl Lash Blast mascara - $8.00 and earn $2 ECB. Use $1 off (Oct PG). Final Price: $5.00 after ECB. --CoverGirl Simply Ageless Foundation - $13.99 and earn $4 ECB. Use 1 off (Oct PG). Final Price: $8.99 after ECB. --CoverGirl Flipstick lip duo - $9.99 and earn $4 ECB. Use $1 off (Oct PG). Final Price: $4.99 after ECB. 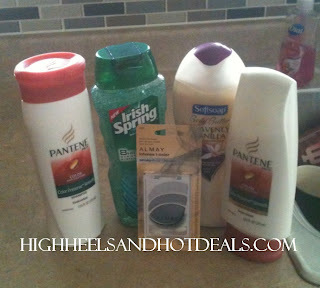 --Pantene Shampoo, conditioner or styler - 2/$8 and earn $1 ECB. Use Buy 1 Shampoo get Conditioner Free (SS). Final Price: $1.50 each after ECB. --Buy any Schick razors or cartridges and earn $4 ECB. Use Buy 1 Schick Hydro Refill get Razor free (coupons.com) or $2/off (SS). Final Price: varies but this is a great deal with the ECB added! --Playtex Gentle Glide or Sport tampons - $7.99 and earn $4 ECB. Use $1 off (SS 10/21). Final Price: $2.99 after ECB -- HOT deal! --St. Joseph's aspirin - $5.00 and earn $3 ECB. Use $2 off (SS 10/21). Final Price: FREE after ECB -- HOT deal! --Kleenex - 2/$3. Use $1/3. Final Price: $1.16 each when you buy 3. Now that's a pretty good list!! Scenarios to come soon! I truly love Halloween. I think it is so fun to dress up and celebrate the silliness of this holiday. Now that I have a child I really love it more. Not just for the endless peanut butter cups (my stepdaughter said she doesn't like to trick or treat with me because all that's left in her bag are the wrappers...oops.) but because I love finding the perfect costume that fits his personality perfectly. Last year my son was a monkey. That costume was a perfect fit for him because his nickname is Monkey. Plus it was cute and cozy with tons of room to layer under the costume for the chilly evening we spent trick-or-treating. This year I once again started my hunt for that perfect costume for my wild and crazy two year old. What did I come up with this year? And this year I did it the smart way -- I used Costume Express. The options are endless on this site! You can choose by gender, size, price and type of costume you are looking to buy. Costume Express will generate a list of suggestions for you to help make your costume purchasing less painful. 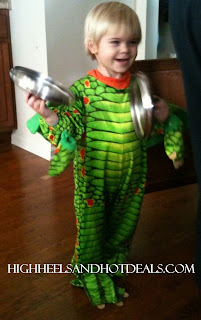 There were so many adorable choices that made me wish Halloween happened three or four times a year! 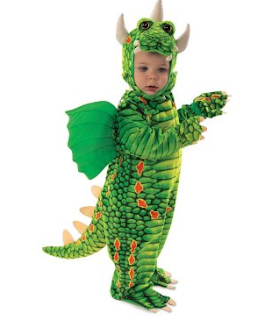 But this dragon costume is adorbes! It was super affordable and literally showed up to my door within three days of ordering it. Another great feature that Costume Express offers is the ability for past costumers to leave comments on the costumes after purchasing them. I'm so glad for this feature because many of the customers shared how happy they were with the dragon costume, but that it ran a little small. Since my stinker is a little peanut, I was indecisive between two sizes. However, after reading these comments from past customers, I decided to go with the bigger size and I'm so glad I did! He is skinny but tall, and the bigger size is just the right height for him. Plus I'll still be able to layer underneath the costume because we all know that Halloween will be a chilly one here in central Indiana. Let's not forget about the adults here either! Costume Express offers a great variety of costumes for every adult out there! From silly to sultry - you will definitely find the costume you are looking for this year! 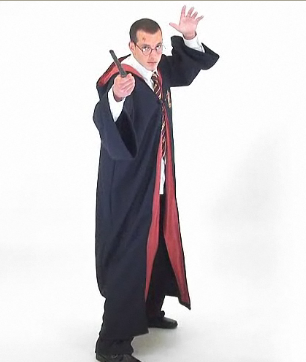 For the past four years I have been BEGGING my husband to dress up as Harry Potter and Hermoine for our adult party. After showing him the Harry costume on Costume Express, I think I've finally convinced him. Seriously, a hot Harry Potter. Let's face it. Costume shopping for Halloween can be frustrating and a pain in the behind. Dry those tears and stop the hair pulling by using Costume Express for your shopping this holiday. Whether it's the baby, the teenager or even Fido - Costume Express makes costume shopping easy, affordable and definitely painless. For more information, check out Costume Express to find the perfect costume this Halloween! This product review was made possible by Costums Express. I was not compensated for this review other than a product sample. All opinions are 100% mine. If you are like me, you probably have 2382 pictures on your camera memory card or computer. Take advantage of this dealio and get one PRINTED. Use the code TRULYFREE on Walgreens.com to get a free 8x10 photo! Offer is only good until tomorrow, so go through all of your pics and choose a favorite! Ha! Is that possible? My little one grows out of her shoes so fast. When I want super cute shoes for her, I always go to Payless because I don't want to spend a ton on money on ones that she will only wear for a month or so. This weekend only you can get free shipping when you spend $30 and an extra 20% off when you use the code 80490 at checkout. Fall is finally here! I am in love with the color of the leaves and the great sales on soup! I live on soup this time of year. So, tomorrow I am reorganizing my stockpile shelves to make room for my soup stock up! Final price: $.50 each when you buy 2 <----stock it up! Not too bad of a week, folks! But my cupboards are bare and my snacks are dwindling - except for the 100 fruit snacks I just bought at Costco this week. Oops. So here are this week's best match-ups at Meijer -- because I need a good shopping week! --Meijer Kettle Chips - $1.99. Use $1/2 mPerk. Final Price: $1.49 each when you buy 2. --Coffeemate Creamer - 3/$5. Use Buy 2 Get 1 free mPerk. Final Price:$1.11 each when you buy 3. --Toaster Strudels - 5/$10. Use $1/2 (GM insert). Final Price: $1.50 each when you buy 2. --Tyson Mini Chicken sandwiches - $3.99. Use $1 off (SS) or $1.10 mPerk. Final Price: as low as $2.89. --Cheerios - 4/$10. Use $1/3 (GM insert) or $0.75/Multi Grain (coupons.com). Final Price: as low as $1.75. --Kellogg's Cereal - 4/$10. Use $1/2 (coupons.com) . Final Price: $2 each when you buy 2. --Select Coke or Pepsi 2 liters - 3/$4. Use $1/2 Pepsi Next or $1/3 Sierra Mist (Pepsi Insert - expires 10/20). Final Price: as low as $0.83 each when you buy 3. --Kraft cheese slices - 2/$5. Use $0.50/2 mPerk. Final Price: $2.25 each when you buy 2. Hopefully Michele found some great Kroger match-ups so I can feed my family this week! You know I'll be posting more deals as I find them.